Lucky you! I don't think that having more than one Thanksgiving dinner defeats the purpose. You are spreading out the thankful. We can be thankful all week, all month, and all year. And if we so chose, we can eat turkey all the time, too. I would LOVE to see the "Oh brother, where art thou skit". I would have been laughing. I wanted to drop in and wish you a wonderful Thanksgiving!! Hugs to you all...especially that gorgeous red headed girl. I think we can eat as many Thanksgiving dinners as we like ... but the one that counts as "real" in my book is the one we eat with family. I LOVED AM's list of funny requirements. ROCKS in their MOUTH??? lolLOLlolLOLOLOLROFLMAOLOLOLOLOL!!!!! Wish I had been there to see the "Oh brother where are thou" skit, too ... especially if George Clooney played a part. Did you see him in the movie version? I love that movie. "We thought, you was, a TOAD." 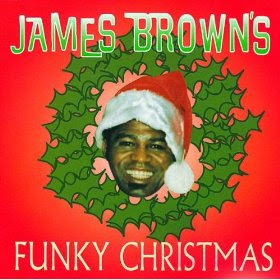 Enjoy your Funky Christmas music.